Anna wrote about what happened on her blog (An Inch of Gray). She chronicled the story of his death. She told us about what happened next and how hard it was to move forward. But slowly, they did move forward. Over the next three years, Anna and I met in real life and became friends. She's a truly lovely person - friendly, warm, open, and very funny. 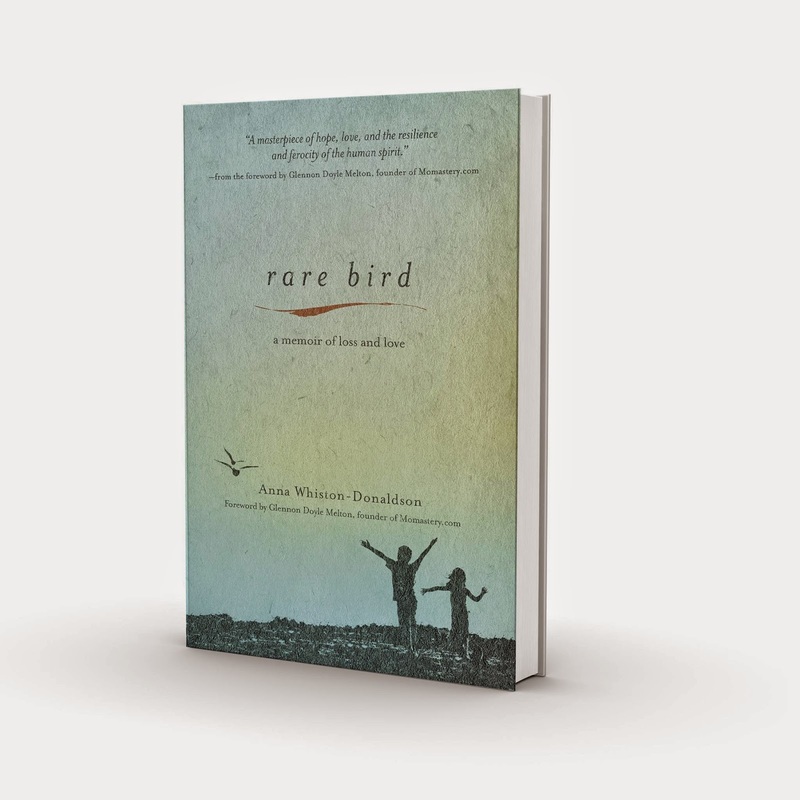 She's written a book called Rare Bird about losing Jack and it comes out tomorrow (9/9/14). It is brutally honest and beautifully written. She talks about her son, his death, and what it's been like to experience such a loss as a person of faith. I felt lucky to get an advanced copy of her book to review. I read it this summer and then passed it around to several friends and family members. We all loved it. Here's what I want you to know about this book - it will hurt to read because what happened is painful. But Anna did not set out to write a scary book. And though it is an unflinching account of what many of us fear the most, it's not scary. You know exactly what happened before you open the book, just as you know the Titanic is going to sink and yet you keep watching the movie. 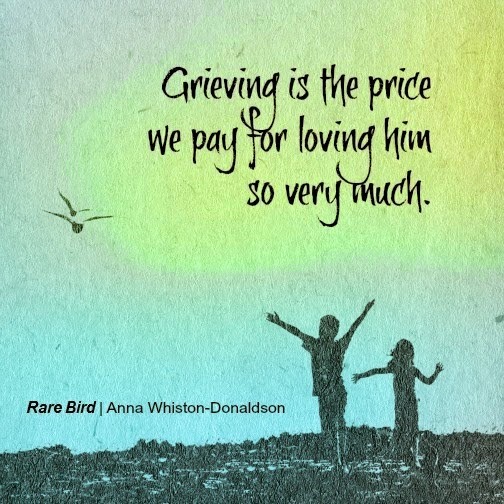 There's a lot to learn from loss and destruction and grief, and often there are some really beautiful moments along the way. And Anna's writing really is beautiful. There are ways she describes getting through it that are just... incredible. But moreover, she's sharing how she got through it. She shares how she wrestled with God and a lifetime of faith. She talks about who showed up for her and her family in their grief and who didn't. In doing so, she teaches us how to be there for friends in pain. I think that might be one of the most important lesson in the book, for me. I struggle with this as a friend, and have struggled with it as someone in pain. Anna's book is fundamentally about hope and forgiveness. Nothing can separate her from her son. He is gone, but she is still his mom and he is still her boy. I find such great comfort in that. I always say I love my kids no matter what and I really do. 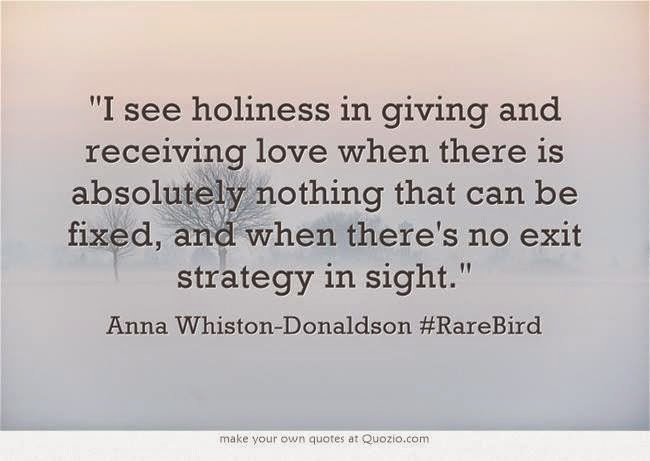 Anna reminds me how profoundly this sentiment can be tested and how strongly it holds true. 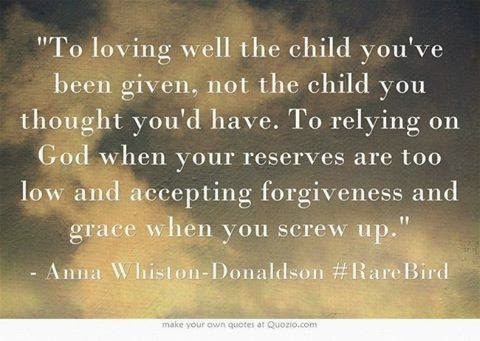 She's been through the worst and reminds us that we all deserve some grace. There are a lot of things to learn from this book and a lot to enjoy. Yes, it's going to be sad and you will probably cry your eyes out. But you'll also snort a couple of times, because Anna is raw and funny. Her writing is so gorgeous, you feel both the fragility and strength that characterize her as a person, a mother, and a writer. Mostly, you will know that when you love someone no matter what - there is always hope. Order it on Amazon. Check out her blog An Inch of Gray. Follow her on Facebook.